This is part two in a two-part series. Click here to read part one. For landscaping companies that mainly perform lawn mowing services, there could be the perception that you have nothing substantial or worth posting. This, Ewan McNeill, director of marketing with LMN Software, says, is completely false. The process of mowing might not be what some would consider “beautiful” but the end results are certainly worth sharing. Along with posting photos of completed lawns and projects, McNeill suggests using social media to interact with your audience by asking them what questions they have about lawn care and maintenance, what issues they’ve been having and others along those lines that will get them actively engaging. Another option is to post photos and videos of your crew in action. Many subscribers enjoy seeing photos of people, especially if they know them personally, so adding in time-lapse videos of crews at work or employee spotlight posts can keep audiences engaged. 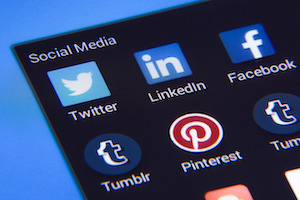 While social media marketing might not be as costly as traditional forms, it does take more time and attention, as it needs to be watched, monitored and tweaked. With this constant supervision, however, comes the overwhelming desire to compare your success with that of your competitor. McNeill says that social media marketing should not be used as a method of “keeping up with the Joneses” but instead should be realistically based on what your company offers. If your smaller company isn’t receiving as much feedback as a larger, neighboring company, don’t fret. McNeill recommends always keeping your expectations realistic and not getting upset if your traffic isn’t as heavy as it is to other company sites. McNeill also says that it’s also not necessary to post to your channels every day, which to some comes across as a daunting task. Sometimes posting daily can bombard customers and feel more like interruptive marketing, which can drive them away. Instead, McNeill suggests finding quality content to post and only doing so once a week or every few days. Even if it’s a photo or video made on your phone or a short blog post, McNeill says it can still make an impact with customers and potential customers. McNeill says the approach of posting things that are short, sweet and to the point can be for your benefit in most cases, as people value their time and are hesitant to devote it to something lackluster. Regardless of when and how often you choose to post, be sure that someone in your company is responsible for these posts and that he/she is consistent with it. Overall, McNeill says that the key to developing and implementing a successful marketing campaign, whether digital or traditional, comes down to defining your market. This includes knowing who your audience is, what they want to hear and see from you and how you can make that happen for them.